Software developer Mindtree said Larsen & Turbos' hostile bid was jeopardising its company's success and could have damaging consequences for the business. Bengaluru/Mumbai: India is witnessing its first hostile takeover attempt of a software developer, a move the target says is a “grave threat” to its future. Larsen & Toubro Ltd., Asia’s second-largest engineering firm by value, agreed to buy 20.3 per cent of Mindtree Ltd . for about Rs 32.7 billion ($480 million) and plans to acquire a controlling stake for as much as Rs 107.3 billion. V.G. Siddhartha, the largest shareholder in Mindtree through Coffee Day Enterprises and affiliated entities, agreed to sell the original stake for Rs 980 apiece. The software developer’s shares fell 1.7 per cent to Rs 946 at 12:21 p.m. in Mumbai. Larsen’s shares declined for a second day, dropping 2.2 per cent. 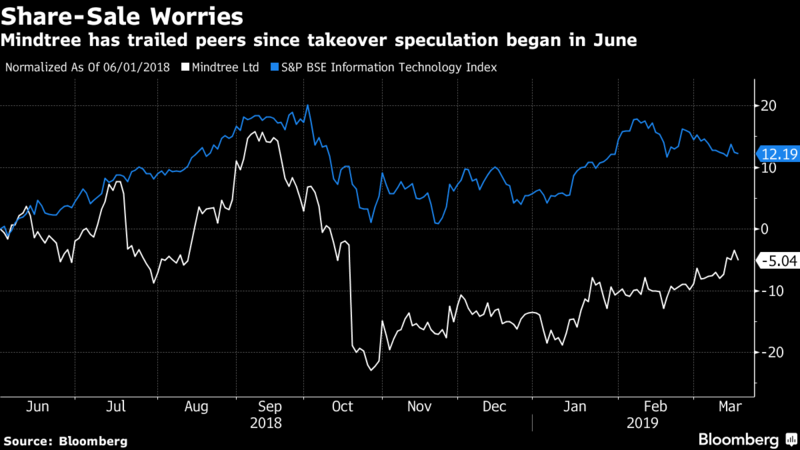 The engineering company said it plans to keep Mindtree a listed entity and that the target’s services complement the business of its software unit, Larsen & Toubro Infotech Ltd.
Larsen’s Chief Executive Officer S.N. Subrahmanyan said the company “would go out of the way” to make a success of the investment. “Emotionalities have to be overcome going forward,” he said at a media briefing in Mumbai.